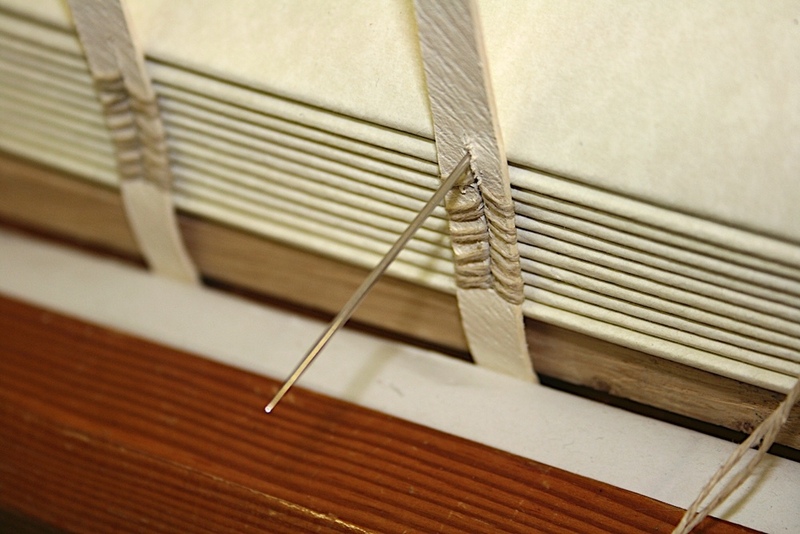 Would you like to learn bookbinding or improve your skills? 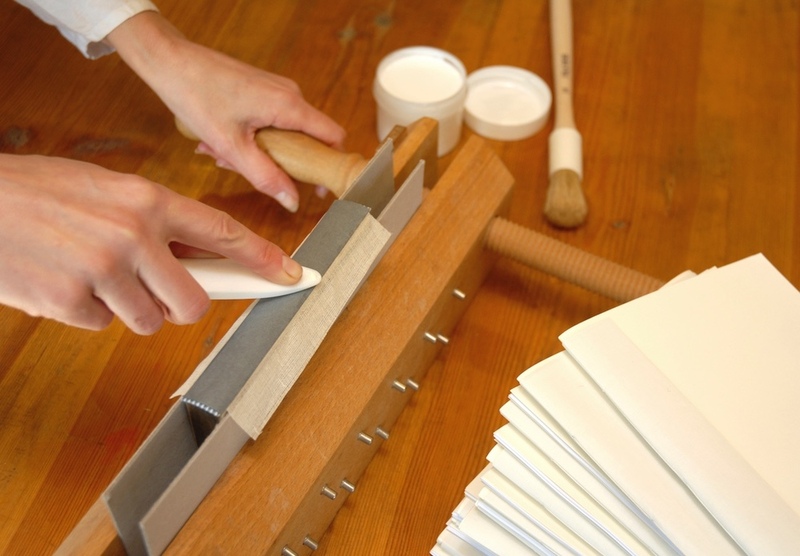 Otter Bookbinding offers workshops and classes to help you master the craft. We run classes for all abilities, from beginners upwards. All materials and tools are provided. All our classes offer high quality tuition in a relaxed and friendly setting, and are offered at different levels, allowing you to learn and progress in a logical way. We have classes suitable suitable for those with no prior bookbinding experience, as well as for those who have already have some experience. From time to time we also run specialist courses with outside teachers, such as paper restoration or gold tooling. Classes generally take place in Midhurst, West Sussex, but Marysa is also regularly asked to teach classes elsewhere. "Thanks so much for a very enjoyable Saturday of bookbinding, I am very proud of my book, keep showing everyone. I will look forward to coming again soon. Kind regards, Julie". "I believe that the days when I approached leather paring with fear and trepidation are now a thing of the past! This was a very good Workshop, with excellent tuition.... Margaret Uttley". NB Classes are currently on hold as we are re-organising and expanding what we offer—they will be re-starting soon. Please check back in a couple of months time. 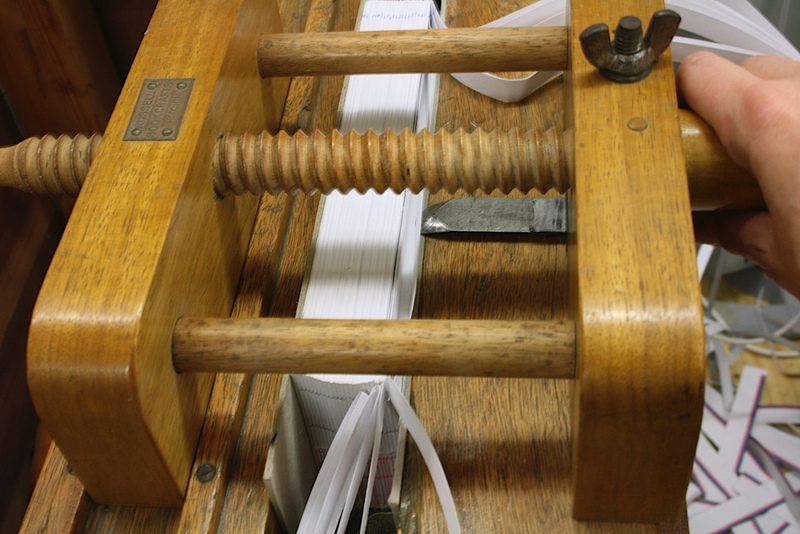 If you would like a more intensive introduction to bookbinding than the classes we offer, or you have a specific skill area you would like to focus on, why not consider some individual tuition? This is offered in Midhurst, and costs £45 per hour + materials such as gold leaf. We also offer gift vouchers for individual tuition. Our tutors, Marysa, Steve and Sara are able to help you achieve your goals whether you are a beginner or an aspiring fine binder and gold finisher. In addition tuition is available to schools, art clubs and other organisations.